Today I want to explain a little bit more about my company 'Lilcdesigns', and how it could help promote you. 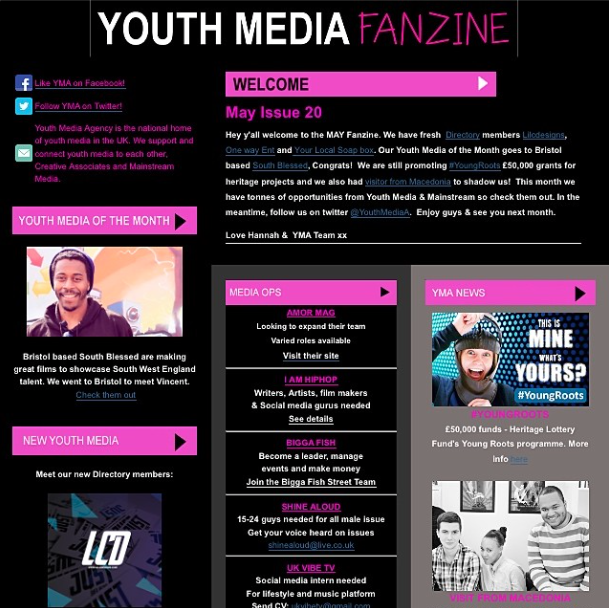 I also want to tell you that 'Lilcdesigns' has been excepted onto the 'Youth Media Agency' website and featured in their monthly newsletter 'Fanzine'. Features are great way to collaborate with other companies to promote yourself, and so I am really pleased to be working with the 'Youth Media Agency'. I am twenty-one and I started my company 'LILCDESIGNS' around a year ago whilst I was still doing my foundation degree in Graphic Design. Once I completed my foundation degree, I felt I had built up enough clients to continue my company full time. I wanted to work for myself, so I decided to work as a freelance designer full time and pursue my dream of owning my own media company. Throughout the last month I have expanded my skills even further, as I constantly try to learn new programs and stay up to date with all the latest social media and technology. I can now provide Web, Media, Design and Motion skills to clients and artists who I work with. I collaborate with 'USH' on the design and making of our clothing range USH Clothing. I also have my own projects which I run alongside my business which are my blog and my series 'Aspire To Inspire'. My project 'Aspire To Inspire' started as a one off niche magazine which has now evolved into a Web Series on my YouTube Channel. 'Aspire To Inspire' was set up to share talent and stories that I found inspiring and to inspire our generation to never give up on our dreams. I feel social media is powerful to our generation and the youth of today and therefore I thought the best expansion for this was to do a web series of my own showcasing inspiring young people. I am all for helping other young people realise their goals and dreams. Collaborating on projects and uniting together is a way to do this. I would like to offer guest posting on my blog to young writers if I feel their content is suitable to my audience. As well as collaborating with clothing designs and product lines. I can also offer young aspiring musicians, designers, filmmakers, dancers, and creatives the opportunity to feature on my web series 'Aspire To Inspire'. lilcdesigns@gmail.com and I will be happy to discuss this further!